This holiday season we want to bring our [RE]Fresh tribe together in a way like never before. We know how hectic this time of year can be and how important it is to take the time to bring our bodies and our minds into balance. So grab a friend and join us for an awesome class, some calming vibes and delicious edibles. Refuel afterward with (you guessed it) cold pressed juice and yummy plant-based treats. Leave with a special gift from us to show how much we appreciate your support. 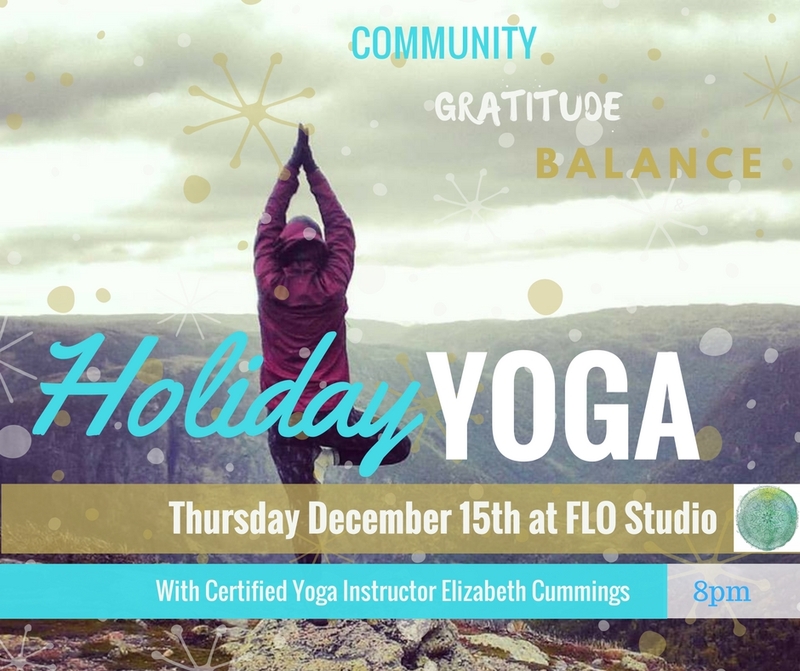 We want to say a huge loving THANK YOU to our event partner Flo Space for donating your beautiful studio and to Elizabeth Cummings for offering her time and grace to lead the session.